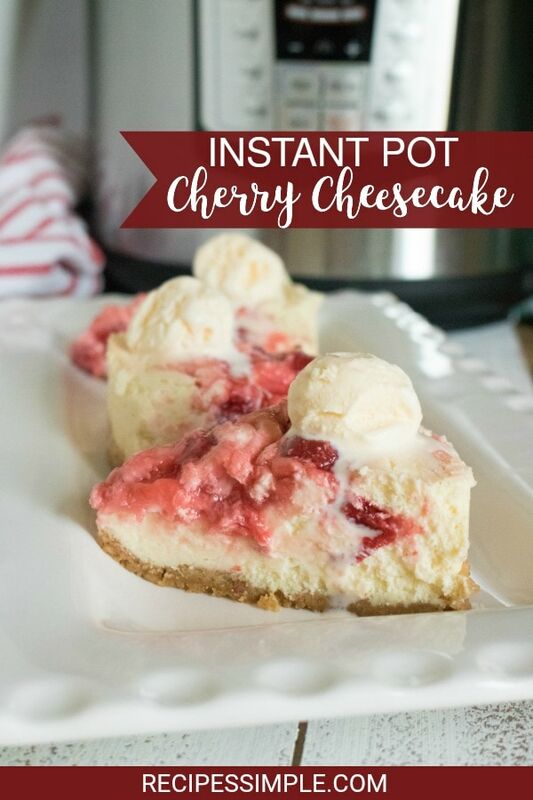 This Instant Pot Cherry Cheesecake is creamy and delicious and cooks up perfect in the pressure cooker! 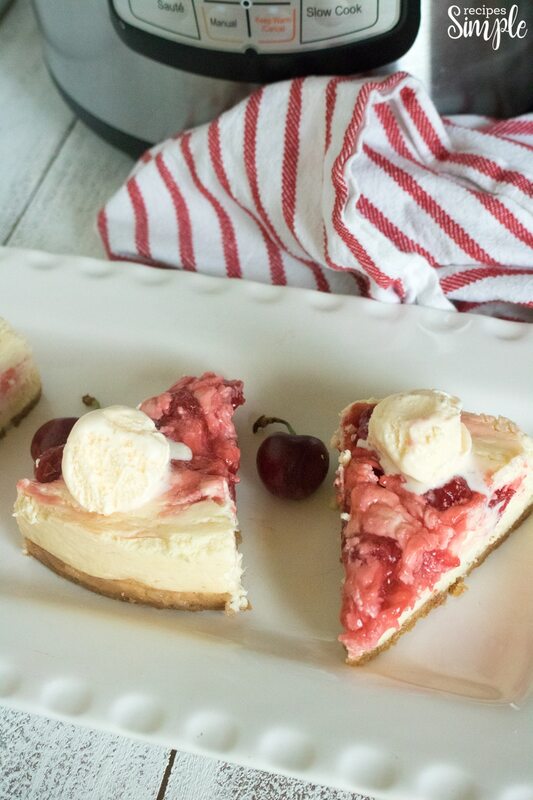 You get the classic Cherry Cheesecake flavor in half the time. 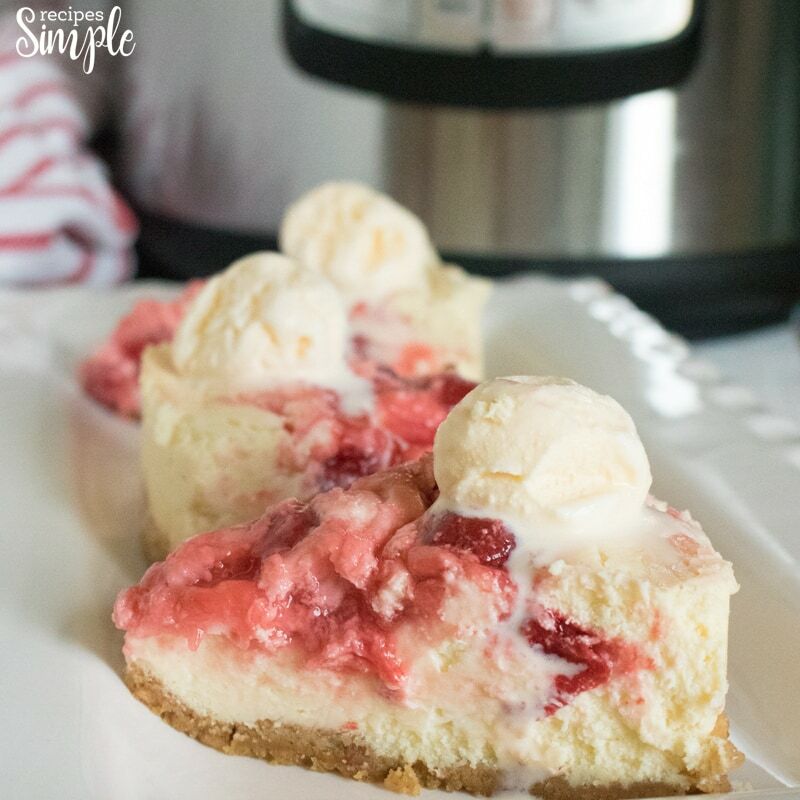 The Instant Pot makes amazing desserts and cheesecake is one of the best desserts you can make in your pressure cooker. 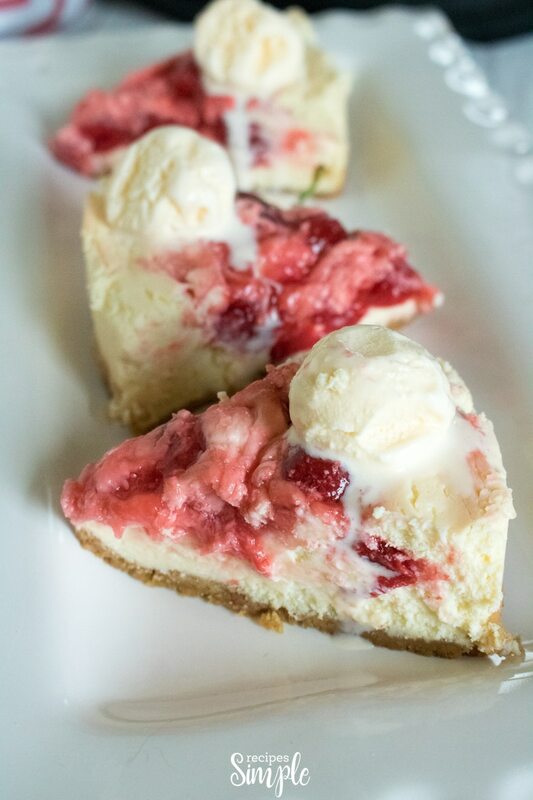 It saves you time and you get the creamiest cheesecake every time. Every bite melts in your mouth! We are huge fans of cheesecake at our house. And now that I’ve had success making one in the Instant Pot we will get to enjoy them more often. With this Instant Pot Cherry Cheesecake recipe you get a buttery graham cracker crust and a creamy cheesecake swirled with cherry pie filling! 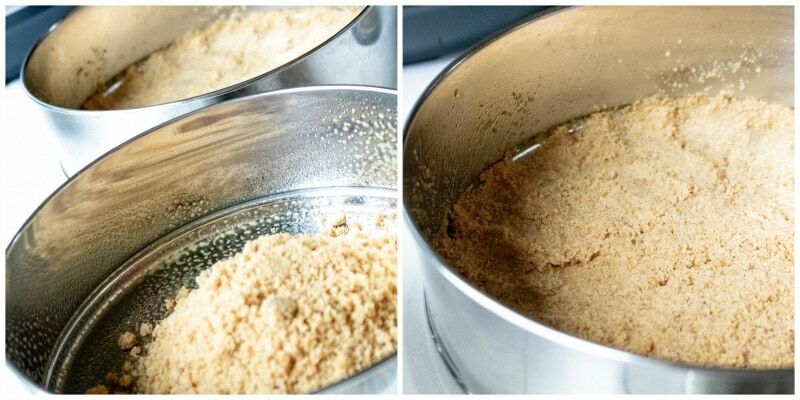 Combine graham cracker crumbs with sugar and melted butter and pat down on the bottom of a 7-inch springform pan sprayed with non-stick cooking spray. I use this 7 Inch Non-stick Springform Pan/Cheesecake Pan/Leakproof Pan from Amazon. Cream together the cream cheese and sugar until smooth and then mix in the eggs one at a time. Add in the almond extract and sour cream and mix until smooth. Pour into springform pan on top of the graham cracker crust. 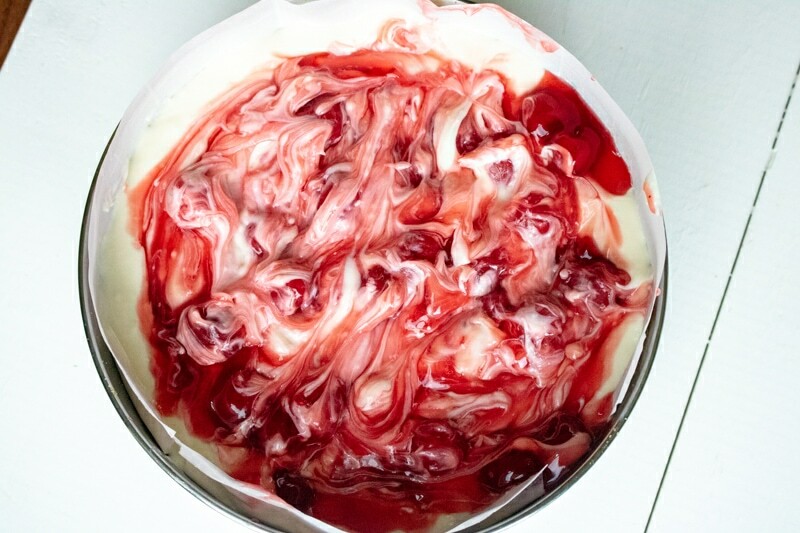 Add cherry pie filling and swirl it into the cheesecake. Run a fork back and forth through the cheesecake several times to remove air bubbles. Cover with foil. Pour two cups of water into the inner pot of the Instant Pot. Make a sling out of aluminum foil to lower the pan into the pressure cooker. Close the lid of the Instant Pot and turn to sealing position. Set for a manual high pressure time of 35 minutes. When time has finished, allow for a natural release for 12 minutes before letting out the rest of the steam. Cool on the counter for an hour and then put in the refrigerator and cool for an additional 4 hours before serving. 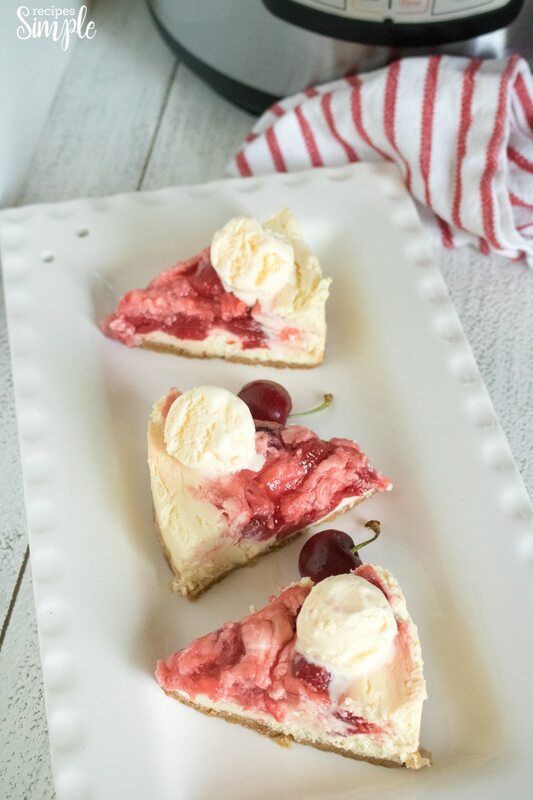 Top with additional cherry pie filling or other dessert toppings such as whipped topping or ice cream and serve. To avoid lumps, the ingredients should be at room temperature. Beat the Cream cheese and sugar until it’s well blended and smooth. 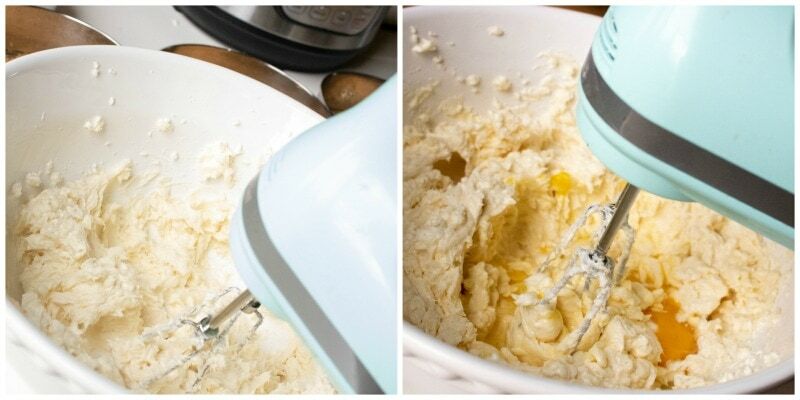 Use a food processor to make the crust if you have one. So much easier! I always use Philadelphia Brand Cream Cheese. I think it tastes better. Always use full fat cream cheese when making a cheesecake. You can use any variety of pie filling you like in this recipe. My husband loves cherries so I used cherry pie filling. You can also use blueberry filling, strawberry filling, apple filling, peach filling or blackberry filling. So many different choices and they will all be great in a cheesecake. 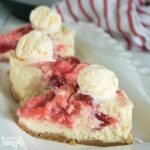 This Instant Pot Cherry Cheesecake is creamy and delicious and cooks up perfect in the pressure cooker! Add cherry pie filling and swirl it into the cheesecake. Top with additional cherry pie filling or other dessert toppings and serve.